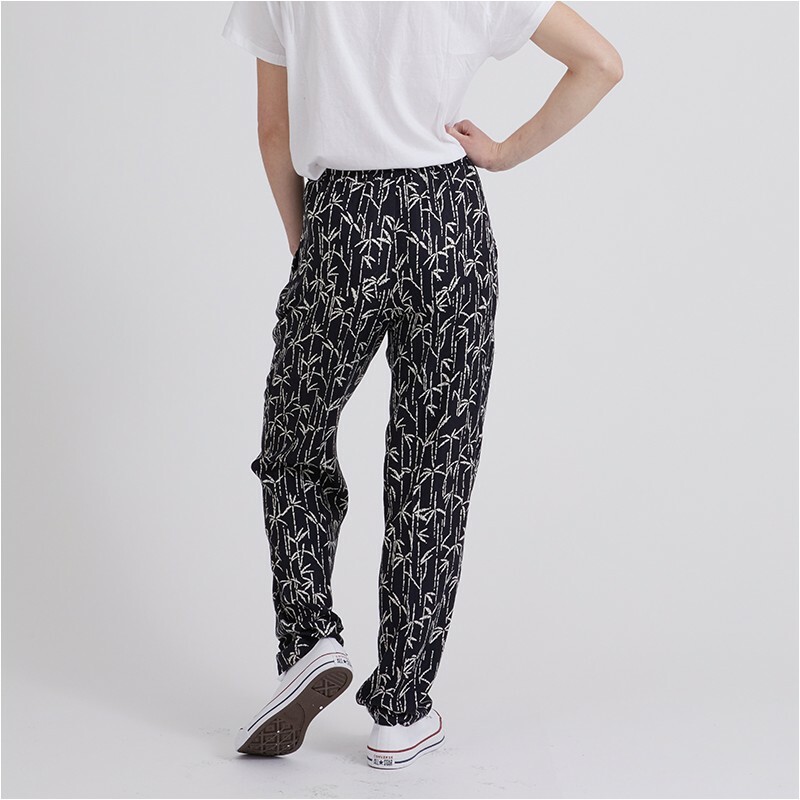 Pants easy to make and to wear. No zipper for easier use. The waist is elasticated, the pants have pockets on the sides. 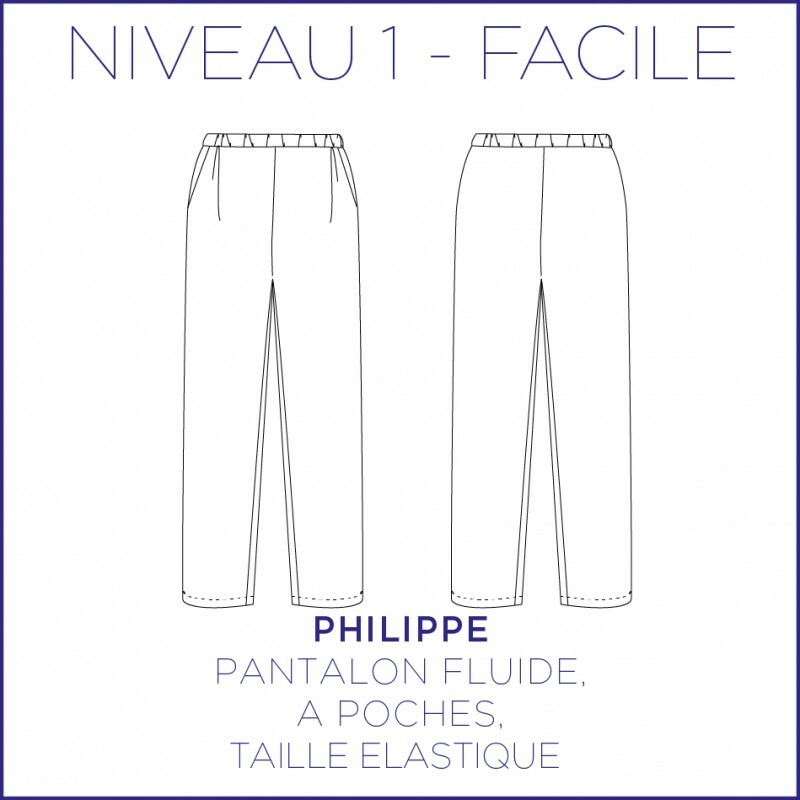 The pants are voluntarily long to suit all morphologies. Ideal to wear in summer. Here, the viscose and cotton trousers is from Tissus Bennytex.